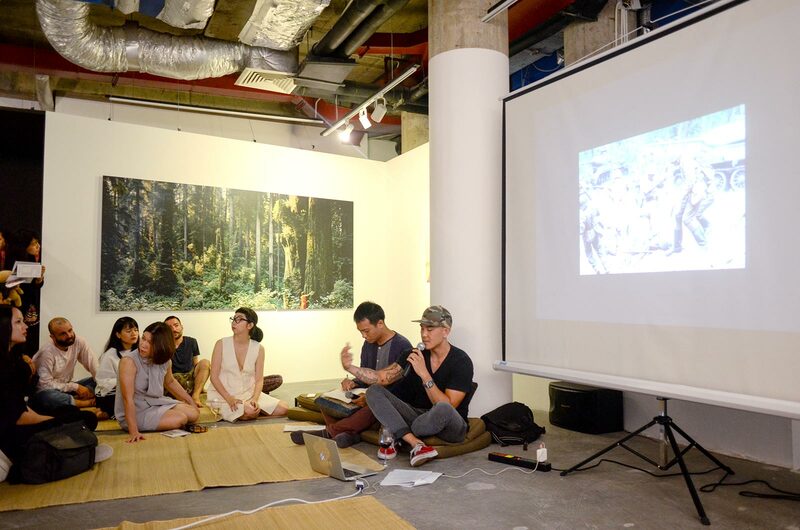 Ten works from eight artists and artist groups were chosen specifically for this exhibition from Post Vidai, a prominent private collection in Vietnam. “Vidai” here means “great” in Vietnamese and using such name is a playful way of referencing how the word was widely used in Vietnamese government propaganda. 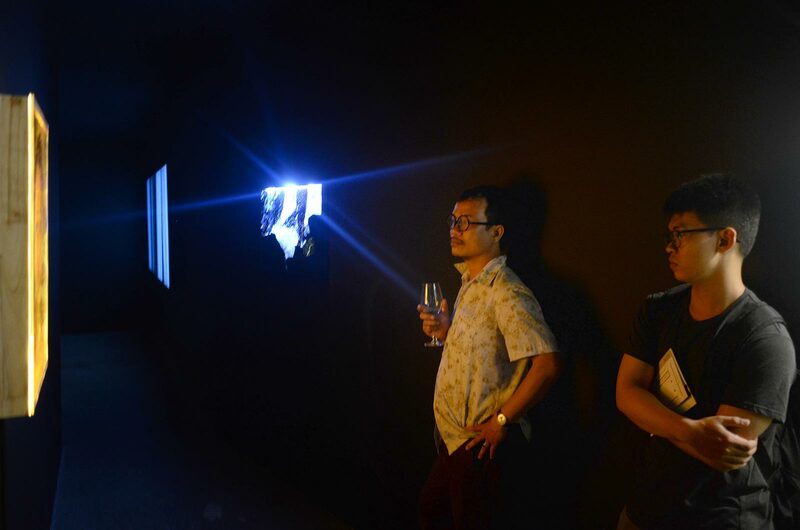 The name in its whole, “Post Vidai”, expresses the collection’s sole focus on art works and artists after the Doi Moi era of 1980s, when contemporary art made its first steps in Vietnam. The artists and works of The Picture Will Still Exist clearly demonstrate this focus of the collection. The first encounter when you step into the exhibition would be WTC in Four Moments by Dinh Q. Le. 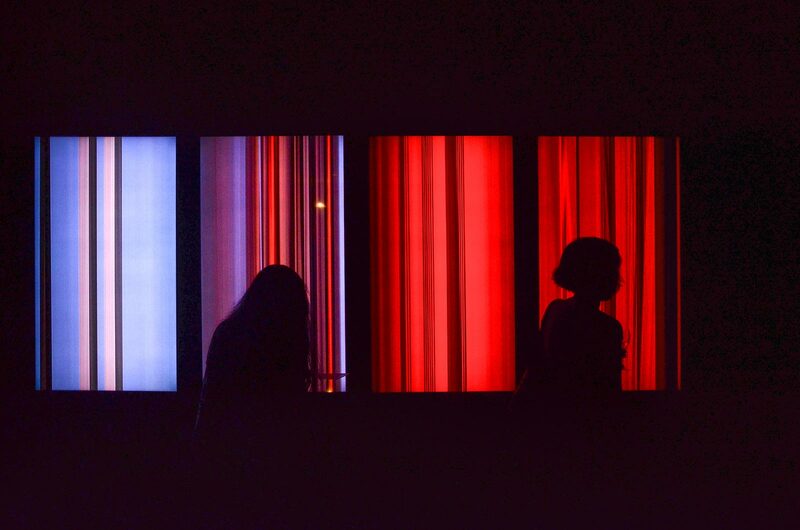 With four screen panels in representing the four seasons, the work juxtaposes the changing of time with four moments of the September 11th, 2001 terrorist attack on the World Trade Center (WTC) in New York that shook the world. Summer, Fall and Winter link with the WTC before, during and after the airplane crashed into the twin buildings while Spring connects with the new building built on the site of old wreckage. Each screen shows a reel of photograph sketched out to 200 meters in length, recognizable only as columns of light. In this way, Dinh Q. Le make the photographs abstract, along with fact, our perception and our emotional response. Ngoc Nau (Nguyen Hong Ngoc) takes over from Dinh Q. Le with two works, Blinded Girl in The World of Light and Light Portrait both using light box. Using this medium, she leads the viewers to a seemingly different world, saturated with light, in contrast with the dark corridor in which the works and viewers are situated in. 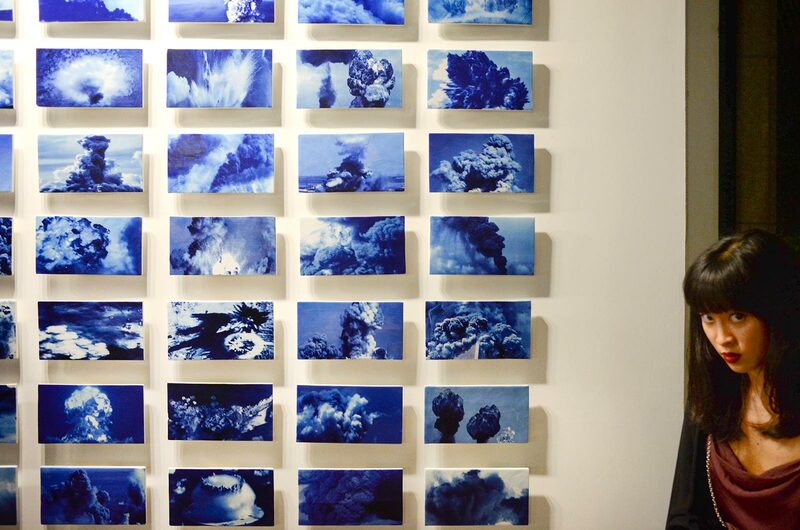 Moving onto the main space of the venue, Sanctified Clouds by Nguyen Phuong Linh fills the central wall with installations of numerous little pieces of cloud. UV-printed on handmade ceramic sheets, the work gives off a cool, distant and quiet feeling just like the ceramic joss-stick bowl on a common family altar. However, such quietness only follows us a bit till we get closer and realize that those little clouds are actually blooms of dust and smoke from deadly war explosions. At that moment, we would have gone too close to escape and can not help but be overwhelmed by all the explosions contained in the sheets. 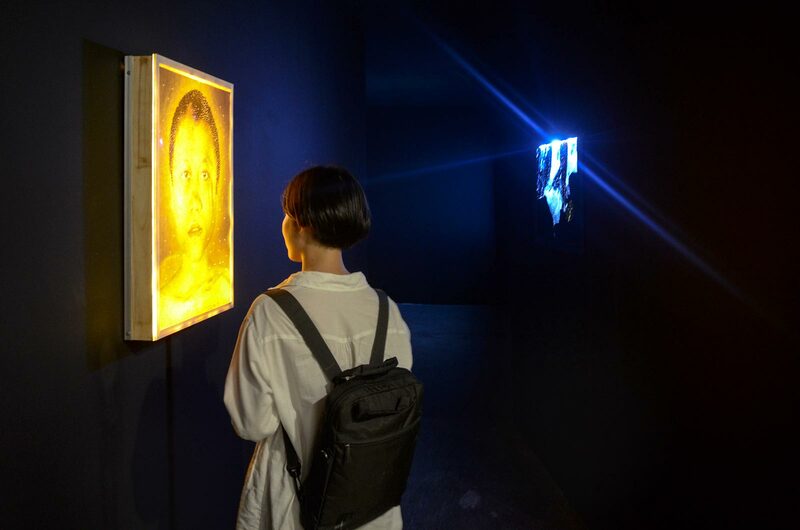 Inseparable from any successful exhibition is the presence of a curator and The Picture Will Still Exist is not an exception with curator Arlette Quynh-Anh Tran. The works she chose for this exhibition all strongly demonstrate the stated concept: the evidence power of photography and the different ways in which that quality can be expressed. From WTC in Four Moments with the abstraction of time, then photographs that mix war documentary and fiction by war photographer Vo An Khanh, to AK-47 vs M-16 with its historical, social and scientific study by The Propeller Group, the works are all testimonies of unique strategies with which artists can employ photography and its documentary quality to express their perspectives. Arlette’s curatorial decision does not stop at choosing the work. Each art work needs their own fitting space and Arlette pulled this off tastefully within the limited confines of Dia Projects. One example is Ngoc Nau’s medium-size lightboxes. As they are both light sources on their own, Arlette places them in the dark corridor where the light from these boxes permeates its containers and softly fills the atmosphere with a golden hue. At the same time, the narrow corridor also invites us to be closer to the pieces, both physically and emotionally. Other works in the exhibition clearly got the same careful dedication from Arlette so they can effectively converse with viewers. The Picture Still Exist exhibition continues a trend of elevated interest in photography as a form of artistic expression. 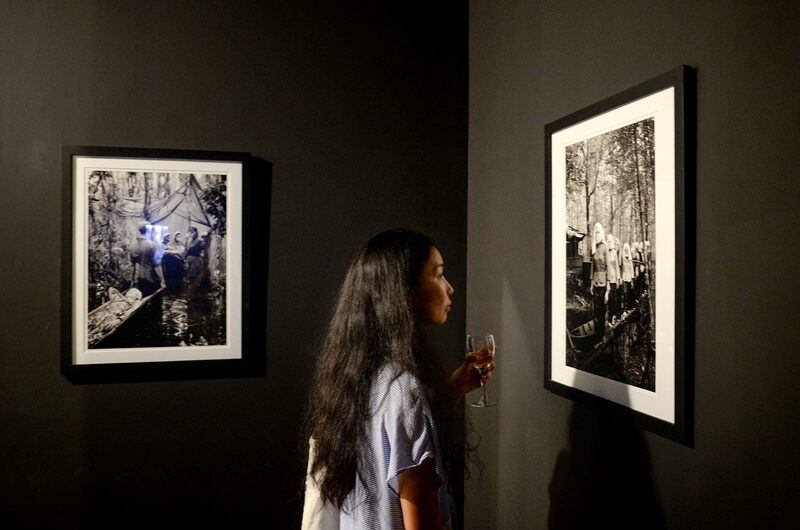 In that way, the exhibition marks an important milestone in photography’s development in Vietnam as it is a testimony of countless possibilities awaiting a contemporary photography scene that is diverse, complex and constantly evolving. 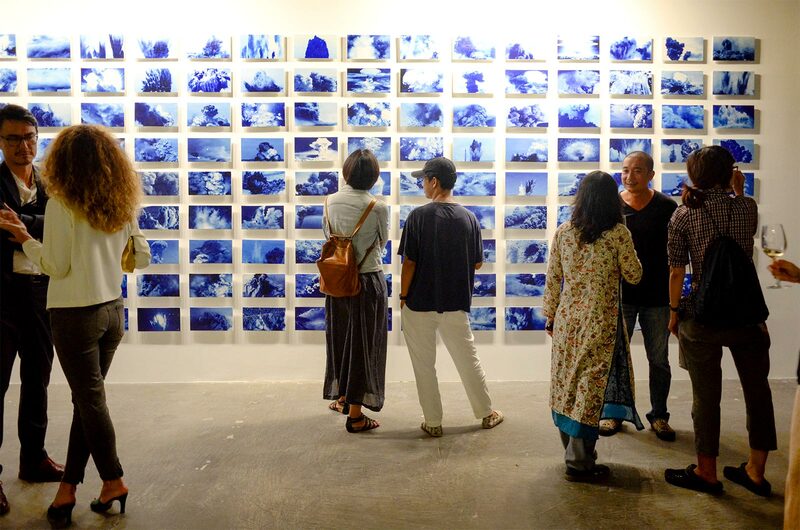 Furthermore, the exhibition serves as an important encouragement to emerging photographers and artists using the photography medium that their work will hold a deserving place. 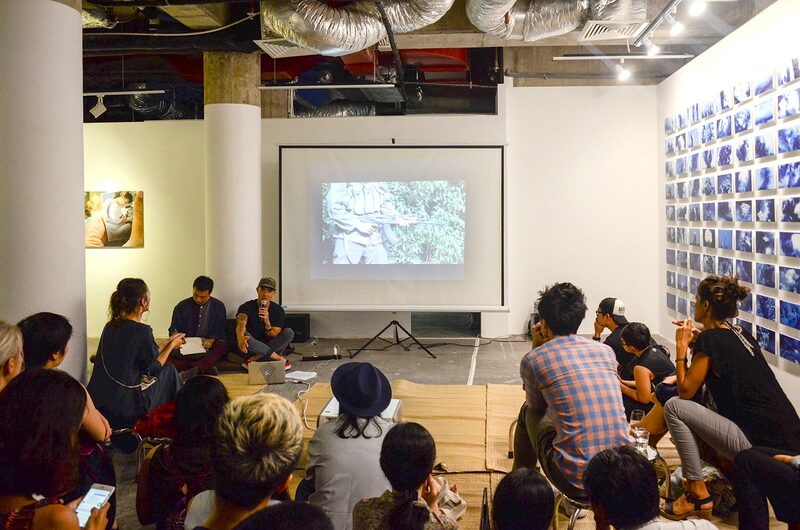 Venue: Dia Projects, Saigon Domaine, 1057 Binh Quoi Street, Binh Thanh District. Duration: June 22nd till August 22nd, 2017. Hoang Nguyen is a freelance photographer born in Hanoi and is currently based in Ho Chi Minh city. His work is a combination of street photography and conceptual self-portraits. Graduated from DePauw University in 2014, came back to Vietnam in 2015, he has been seeking and photographing his attachment to Vietnam. Connect with him on Facebook and Instagram. The Picture Will Still Exist presents different perspectives and definitions of contemporary photography.